After attending the most recent Midwest Manufacturing Leaders presentation led by our good friend Bruce Kellerman of Expense Reduction Analysts, I can’t stop thinking about the amazing power of recovering cash to reinvest in your business by simply cutting costs. 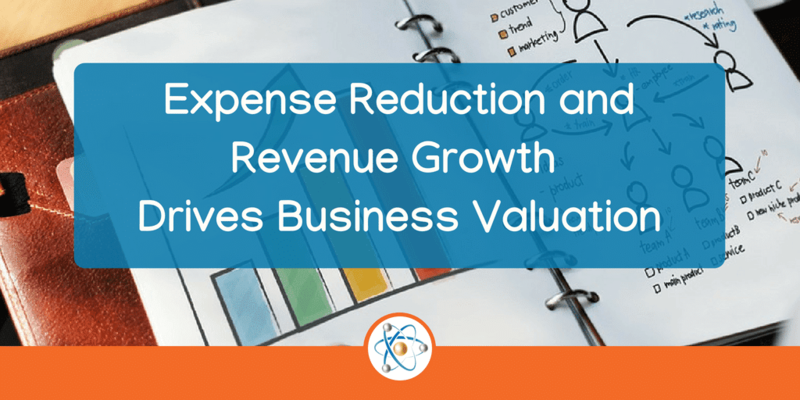 It is so common for business owners to express the desire to increase sales and make investments to grow revenue, but they don’t have the funds to make the necessary changes. That’s where Bruce can bridge the gap to help save money from everyday expenses to reinvest in the recommendations of Atomic Revenue. When people talk about making investments in marketing, sales, and digital in order to grow their business, we often end up in a chicken and egg conversation; they need the money from better marketing and sales in order to invest in all of the things they want to do in their business. How do we make investments to increase profit when there isn’t enough profit to invest? Expense reduction. Until marketing and sales improve, they don’t have the funds to make investments. That doesn’t even include budgeting for all of the initiatives that are possible in the realm of customer success to drive upwards of 33% new business growth. 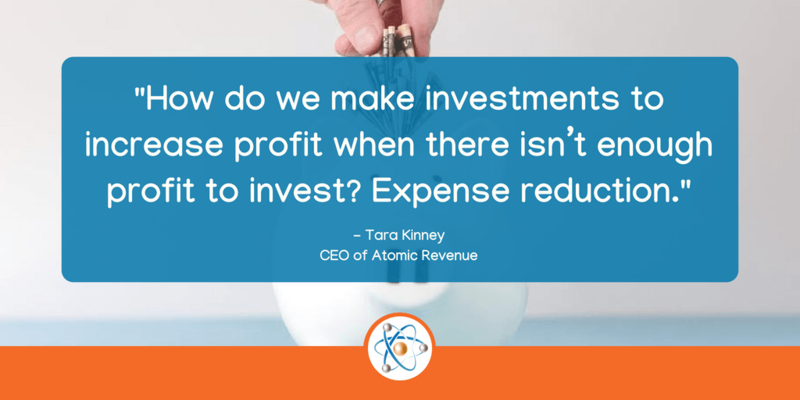 Although Atomic Revenue can take a prioritized approach and assist with the low hanging fruit to create growth that can be reinvested in other areas of revenue production, there’s still an investment that needs to take place. What if our friend Bruce could help find the cost savings in other parts of your business to invest in growing your top line revenue? Now we’re talking about business valuation improvements on a scale of magnitude! 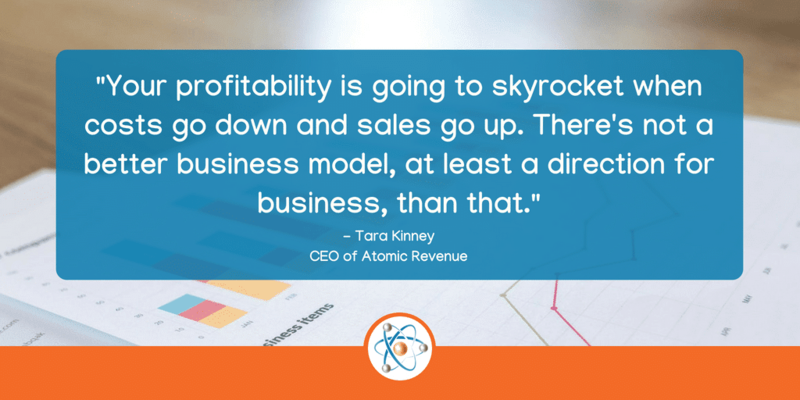 Your profitability is going to skyrocket when costs go down and sales go up. There’s not a better business model, at least a direction for business, than that. From now on when I’m talking to business owners about the changes they need to make in revenue production I will refer them to Expense Reduction Analysts and my friend Bruce. When Bruce finds the money they need from within the budgets they’re already spending, I’ll work with the CFO to reallocate those budgets and measure the real dollar return on investments. Instead of investing your cash in office supplies, telephone service, and credit processing fees, let’s change the dynamic and invest that money, the same dollars, in growing your top line revenue production. Sounds like a match made in Harvard Business Review case studies!